A thousand years ago, the Calradoi were one of a dozen tribes living in the hill country between the southern sea and the Battanian woods. Over time, they subjugated their neighbours, forcing them into a confederation of city-states. Perhaps they were slightly fiercer than the others, or just lucky, or perhaps it was the one tradition that set them apart - the Calradoi had no kings. Ever since the hero Echerion slew the tyrant Cypegos, the institution of the monarchy was banned, in theory at least. There was an assembly of free citizens that met occasionally, a senate of elders (in practice the largest landowners) that sat permanently, and - when it was absolutely necessary - supreme command could be invested for a short time in the person of an emperor, a title that back then meant little more than the right to lead an army. From their heartland in the hills the Calradoi began to spread outward. As they did so, their political traditions – never written down – began to change. Soon, the army was in the field more years than not, and gradually the emperors stopped retiring at the end of campaigns. The senators meanwhile moved to the conquered provinces and acquired great estates. The capital moved from place to place, and the assembly of the people was called wherever the emperor desired. In practice, this was usually an army camp where his veterans could be relied upon to shout down any opposition. The question of succession was always a potential crisis. Usually, the emperor nominated an heir, the senate ratified his choice, and the people (meaning the army) acclaimed it. But this did not always happen smoothly, and then the succession was settled on the battlefield of a civil war. Twenty years ago, a general named Arenicos donned the purple mantle worn by the emperors, and placed the laurel-crown-that-was-not-a-crown on his brow. His military record, his diligence in rooting out corrupt and inefficient magistrates, and the confidence he could inspire with a single speech made him a popular ruler. He also had the gift of being everything to everyone. He rose to prominence as a man of the people and the army, but he also worked closely with landlords and led them to believe he might restore power of the Senate. He praised the Calradian republican ideals as the pinnacles of human achievement, yet married the daughter of a petty king from the lands east of the empire to shore up an important trade route, formed an elite bodyguard of foreign mercenaries loyal only to him, and turned a blind eye when cults began to worship him as a sacred monarch. He spoke of a revived Calradia but kept his council on the details. There was one shadow hanging over the reign of Arenicos - his reluctance to choose an heir. It was though he was casting around for someone who grasped his vision, but never found one. Traditionally, emperors looked in three places for their successors: their family, the elders of the Senate, and the upper ranks of the army. His one child, Ira, was a daughter. There had been ruling empresses of Calradia in the past, but Ira had a wild and irreverent streak. Her right to rule was championed by her mother, Rhagaea, Arenicos's foreign-born wife. “It is good for the children of emperor's to succeed their fathers,” her partisans said. “If we unite in loyalty to the imperial family, the civil wars will stop.” A faction of powerful nobles under the honourable but stiff-necked aristocrat Lucon demanded that the Senate choose the next emperor. "We understand politics and law,” they said. “Return to the old days; return power to us." Meanwhile, the wildly popular Garios, victor of wars against Battania and the Aserai, let it known that he expected his veterans be allowed to acclaim a new emperor. "The corruption of the powerful saps our strength," he told his men. "Let you, the soldiers, who bleed for this land, choose its rulers." Time was running out. Arenicos was getting older. He needed to make some sort of decision, and soon. And then, returning to his palace in the southern town of Lycaron after his latest victorious campaign on the borders, he asked for some time alone in his chamber to nurse a splitting headache; when his guard checked in on him a few hours later, he was lying dead in a pool of blood. Immediately, Lucon convened a gathering of senators in his power base in the north and had himself declared emperor. Garios, campaigning on the Battanian frontier, stood before an assembly of his soldiers who cried out for him to don the purple. And Rhagaea emerged from the palace and addressed the throng that had gathered at the reports of the emperor's death. She raised before them the slain emperor's robe, drenched in his blood. The crowd cried out that she should be the empress, that the emperor's family must rule from this day on, and that she must take vengeance on his murderers - although who exactly that was, at this point, was mostly a matter of rumour. Civil war again loomed - and this time, with three equally balanced and determined factions eager to fight, it looked as though it might be more terrible than ever. The Empire is the last faction - or rather, the last three factions - to be looked at in our series. It is based on the classical tradition of Greece and Rome and their medieval successor, the Byzantines. There was a lot of change in over 2000 years of history, obviously. Although the Roman Republic became a de facto empire under Augustus, vestigial remnants - like the Senate - persisted to the 1300s. Meanwhile, what started as a bureaucratic state, with prefects and governors appointed for very short terms, evolved into a de facto feudalism by the 11th century with Byzantine magnates ruling fiefs and having military obligations like any count or duke in the West. The rules of succession meanwhile were never set in stone, which suits our purposes in the game very well. If a player has his or her eye on the purple, there are lots of different ways of gaining legitimacy. The waning years of the Roman Republic, the time of Caesar, Antony, Octavius, Cleopatra, Cato the Younger and Cicero, have had a huge impact on Western political thinking and are a major inspiration for literature, so we've drawn a few characters from that era. But Byzantine rulers like Justinian and Alexios Comnenos who brought the empire back from the brink are equally fascinating personalities, as are the ruling empresses like Zoe and Irene. 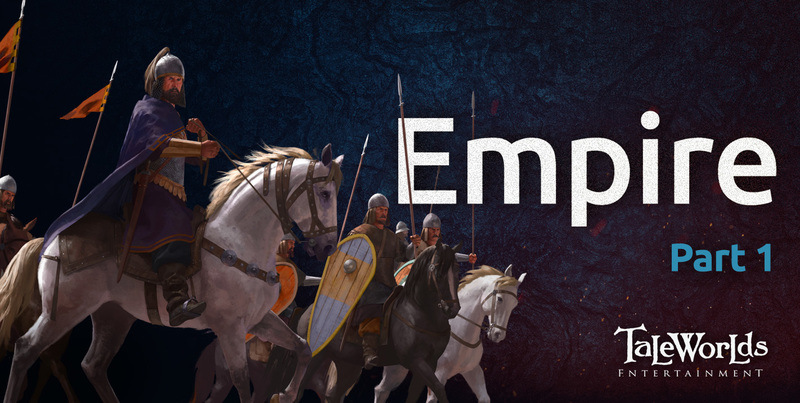 Next week, we'll talk a bit about the new features and troop types we're using to represent the Empire in the game. Still no release date ? sigh. That port sure did slow down development of MBII:Bannerlord. Or is it a deeper concern that has slowed it down to this crawl. We may never know since i doubt the game will launch during world war 3. People whining about release dates - you are disgusting. Can you just shut up and wait PATIENTLY? It seems to me that either the development team is working to grant us a surprise, or they are simply well far away from being available for relase, otherwise why wouldn't they even release the game, or at least give out the relelase date? Is the team simply trying to buy themselves time, no one knows. For all I know is that I am well suspicious about what the developement team is doing right now. stop rage guys it's interesting for the lore,if u are not intersted of this article just leave. Plaaa plaaaaa... Just release the Game, so we can tell you what the fix.